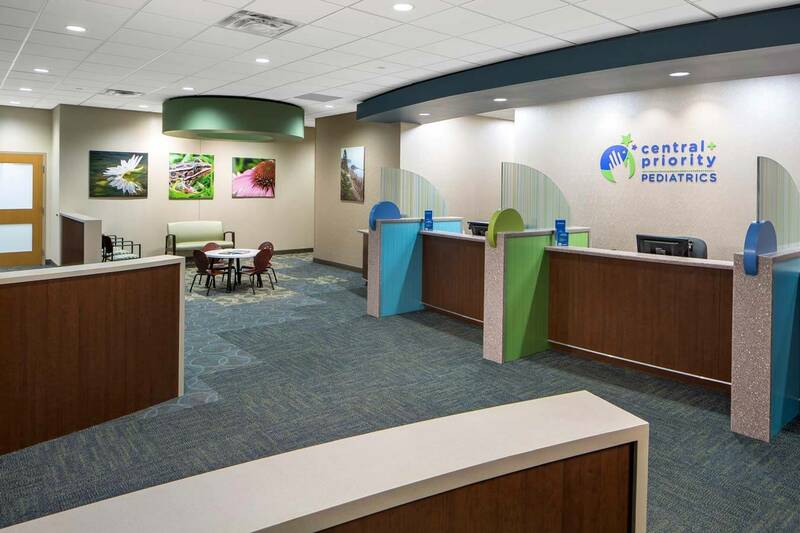 This new clinic was designed to incorporate a new care delivery model that encompasses a center core with waiting, reception, lab, and physician offices and consultation areas, flanked by exam rooms and a care team area. 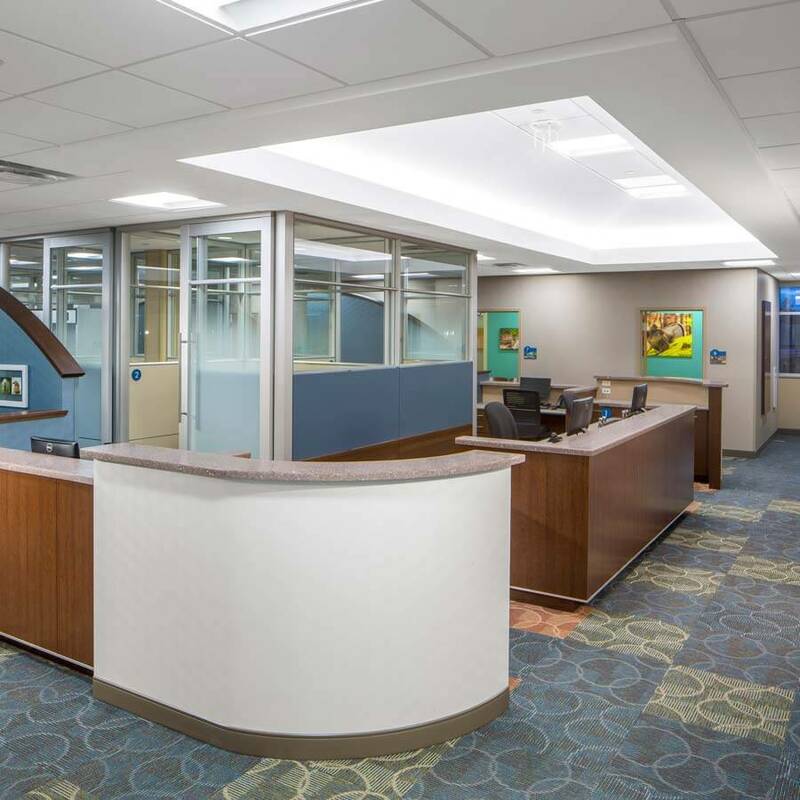 The care team area allows both the physician and nursing staff to work closely with one another to allow for increased communication and enhanced patient care. 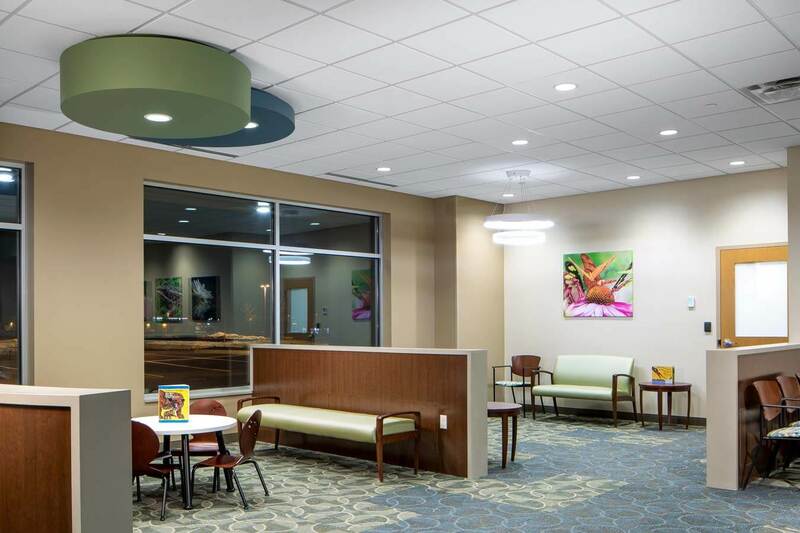 The color and finish palette is bright, yet ageless. 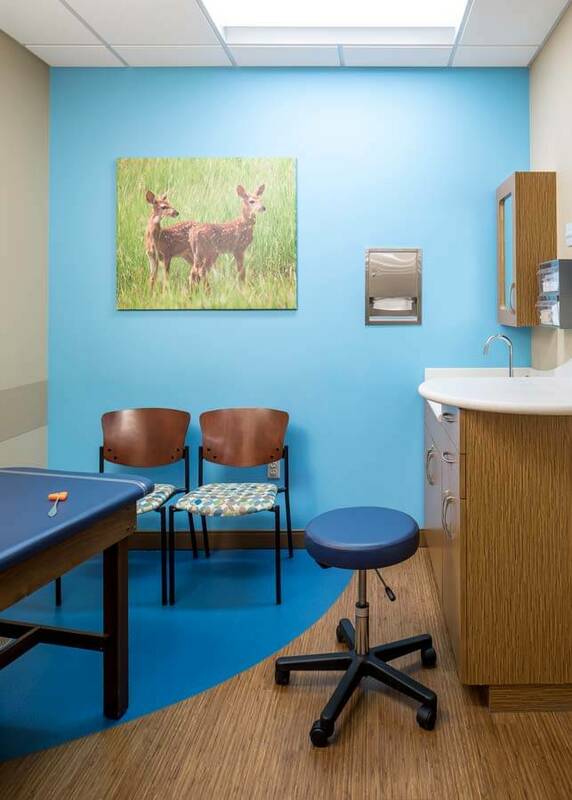 Warm blues and greens are complimented by rich wood tones and neutral casework and surfaces, Colorful animal photography serves as art work that attracts the interest of all age groups. 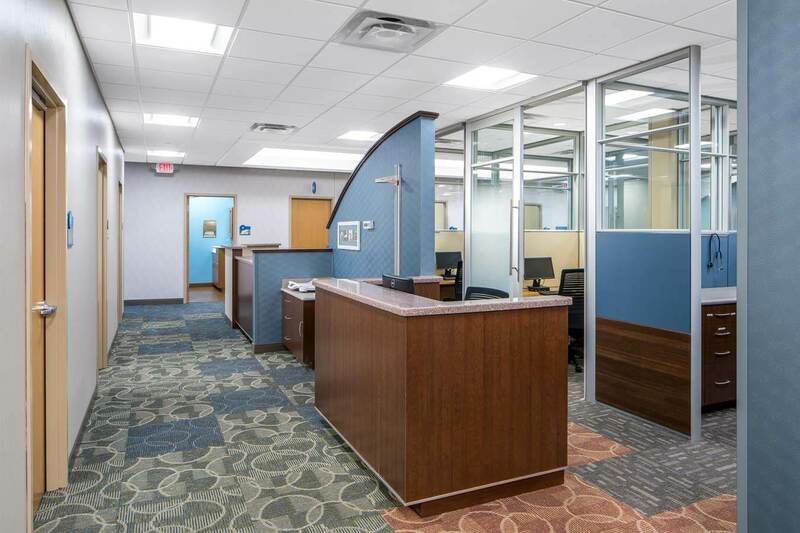 This project also included the design of the building shell which is a one-story, multi-tenant medical building as part of the Commerce Hill Development.